A project plan, also called a project management plan, defines the scope and objective of a project. Developing a project plan is one of the most important steps in ensuring a project is delivered on-time and on-budget. What product(s) or service(s) will we deliver? How can we meet the needs of our stakeholders? 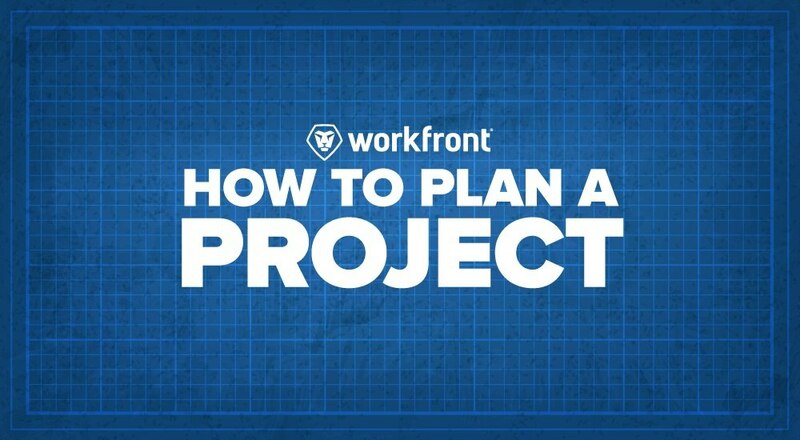 Before we jump into the step-by-step of how to create a project plan, let’s consider why a project plan is created in the first place. An effective project plan communicates project deliverables, timing and schedules, along with team roles and responsibilities. When creating a project plan, the project manager (PM) is forced to think through potential risks and hang-ups that could occur during the project. These early considerations can prevent future issues from affecting the overall success of the project, or at times, cause a project to fail. A project plan is a set of documents that can change over the course of a project. The plan provides an overall direction for the project. If unexpected issues arise (e.g. delivery delays), the plan can be adjusted by the PM. A project plan is coordinated by the PM with input from stakeholders and team members. Plan components cover the “what” and “how” of a project. Plans include details related to timelines and stages, baselines (i.e. performance measures), activities, milestones, deliverables, manufacturing, risk management, quality, procurement, staffing, communications, and dependencies, among others considerations. Prior to developing a project plan, the PM should explain the purpose of the plan to key stakeholders. Stakeholders, or the individuals affected by the project, need to understand what goes into planning their project. Stakeholders may include project sponsors, business experts, the project team, and end users. Gaining buy-in from all stakeholders can be one of the most challenging components of a project, yet it’s central to the project’s success. Projects fail when management isn’t supportive, or there is limited stakeholder engagement. The PM should host a kickoff meeting for stakeholders. The meeting may be used to discuss the business vision (from the project sponsor), roles and responsibilities, team dynamics, decision-making, and other ground rules. A scope statement “documents what the project will produce and what it will not.” After a PM understands the stakeholder requirements for a project, they need to define the scope. This is a crucial step because the scope will serve as the foundation of the project plan. "If scope creep happens on the project, it will result in increased time, cost, resources, and potentially reduced quality. And thus increased risk on delivery." A clear and accurate scope statement helps gain buy-in from stakeholders, while also minimizing risk. Scope statements specify business need(s), objectives, justification, deliverables, and key milestones. It essentially acts as a contract between the PM and sponsor—but it can be adjusted throughout the project with approval. From stakeholder interviews to project risks, conducting research is an essential step in developing an effective project plan. Project research is based on the scope of the project and stakeholder requirements. During the research phase, the PM is encouraged to attend stakeholder interviews, or at least suggest questions to be included in the interviews. At this stage, it’s important to understand project ownership and decision making, key dates and outages (i.e. times when the stakeholders are away), and preferred communication methods. The PM should also dig into team dynamics in order to assign responsibilities appropriately. At this stage, the team should discuss expertise, interests, and collaboration. The goal here is to define ownership of individual tasks. The next step in creating a plan is to actually draft the individual components. The first draft should provide a rough sketch of the general process, project deliverables, signoffs, resourcing, deadlines, and stakeholder feedback. Once the PM has a general idea of how the project could go, they should share the draft with their team. Sharing the plan and asking for feedback from key team members ensures the plan is collaborative. The PM should adapt and change the path of the project to ensure the process works for everyone involved. After the project plan is drafted, the PM needs to break the tasks into sections and map tasks to deliverables. This detailed step involves assigning tasks to organizations and individual responsibilities to people. This assignment of duties creates an important sense of accountability. Spelling out dependencies illustrates how individual responsibilities will impact potential changes. Before the project plan is finalized, the PM needs to receive approval from stakeholders. To do this, the PM should build and maintain rapport with stakeholders to gain their trust. If the PM can prove that the project risks have been assessed and managed and the project plan has been built to satisfy the overall vision of the sponsor, a PM can increase their chances of receiving approval. Over the course of a project, a PM should continually analyze project quality, monitor risk, and communicate effectively. Analyze project quality and monitor risks.The PM is responsible for monitoring project quality to ensure the end result meets expectations. Project quality is proactive—it involves error prevention and risk management. A quality plan aids in this ongoing responsibility by outlining standards, acceptance criteria, and metrics. It is used to guide reviews and inspections during the project. Communicate effectively.Effective communication is central to the success of a project. Project communications can be guided with a communications plan. This document clarifies who receives which reports and how issues will be handled. It also details where project information is stored and who has access. A project plan defines the project scope and objective to ensure delivery is on-time and on-budget. The project plan is a roadmap for project managers—from pre-planning and meeting with stakeholders, to research, drafting, scheduling, and receiving final approval. All of these steps and subtasks help contribute to a successful project that aligns with the sponsor’s vision and overall objectives. Workfront has created an exceptionally good video. Check it out.